Touch Of Belle : Autumn Tag! 1. 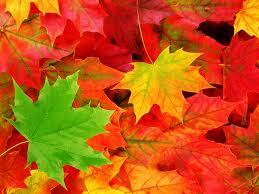 What's your favourite thing about Autumn? My favourite thing is being able to snuggle up in warm Christmas jumpers and drink lots of hot chocolate! Hot Chocolate with cinnamon, marshmallows and cream its like Christmas is a cup! Or Just norm al hot chocolate.. if you haven’t guessed I LOVE hot chocolate! 3. What's your favourite scent/ candle? I really like the smell of cinnamon in the winter but I love anything with hints of berry or just nice smelling candles! I love Topshop's collection my favourite 2 are Brighton rock and Rio Rio and for winter just some Vaseline! This is quite difficult because I like so many! I love all the Body Shop moisturisers but one of my favourites is Vaseline spray and go moisturiser as its so quick and easy to use! I change colours all the time if Im in a rush I will just go for softer colours like cream, browns and light pinks but It just depends on how in feeling! Another one of my go to colours is just a Smokey eye but toned down a bit. 7. Favourite band or singer to listen to? This is so difficult I like Bastille, the Lumineers, Lawson and so many more! I love wearing jeans, hoodie, big thick fluffy winter socks and boots or I love Christmas jumpers you cant go wrong with them! And I love big knitted scarfs or snoods they are perfect and so warm! I love brownies and a big hot chocolate! I also love getting new winter jumpers with pretty patterns on! In front of the fire or in my room with hot chocolate and cinnamon! Or out with friends doing a bit of shopping or just chilling! So that’s the autumn tag if you didn’t already guess from my answers I Love hot chocolate! Thank you Gaby for tagging me! If you are reading this I tag you all! Leave your links below so I can read your answers! Thank you :) I loved your answers! Thanks, your answers are really good! I love my snood!